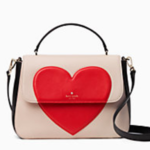 Valentines Day with Kate Spade. Say Happy Valentines Day with a gift from Kate Spade. The top selling handbag brand of 2016, Kate Spade, have some fantastic novelty gifts with a bit of an edge ready for you to purchase this February. We have chosen a few of our favourites and listed them below. 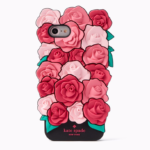 (£58) A little more practical than roses, you can now dress up your phone for V day! 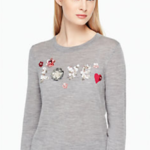 With slogans set to be a huge trend of the year, try this fab "LOVE" sweater to say I love you! 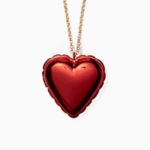 Of try this funky balloon style heart locket for a statement. We absolutely LOVE this handbag with subtle colours but with a huge splash of valentines red. Pair with a simple outfit and some red lippy for a classic but modern look this valentines day! We hope you have a fab Happy Valentines Day!